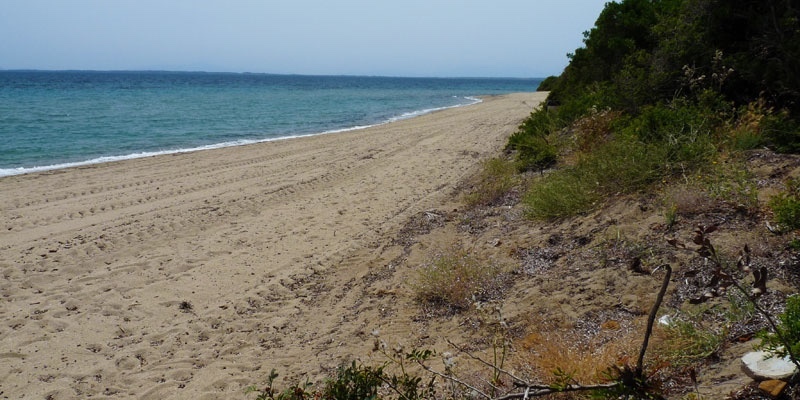 Trikorfo beach is located in between Gerakini and Psakoudia. This beach is one of the few sandy beaches on this coast and is located in a beautiful garden setting and well protected against the mountain. There is a resort that organizes the beach so in the tourist season there are some sun-beds and umbrellas that guests can reserve, but not too many. They also have a beach bar/cafe. This beach is used by several hotels that are in the area so it generally gets crowded in the high season. 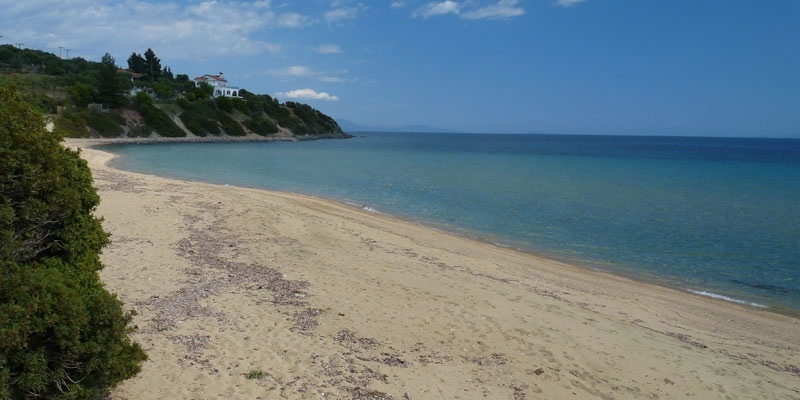 Trikorfo beach is a sand beach and the sea bottom is also sandy. The water is shallow and normally calm so it is suitable very for young families. Good shallow sand beach in a protected cove. Good for families. Gets crowded since it is used by several hotels. No independent restaurants in the area just at the hotels. 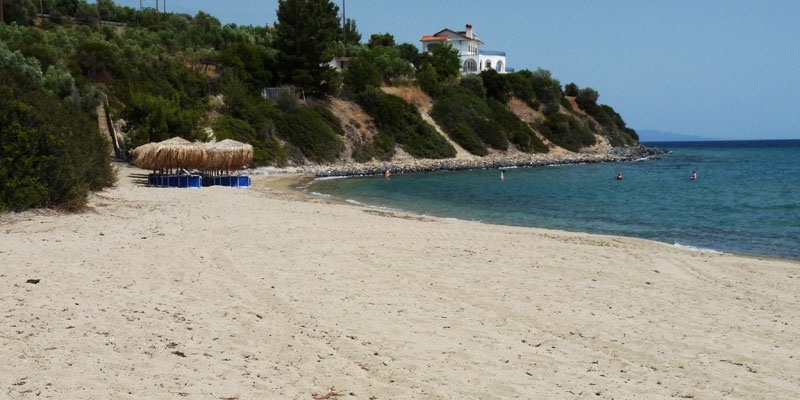 From Gerakini continue on the main road to Sithonia and you will pass the Trikorfo beach resort.